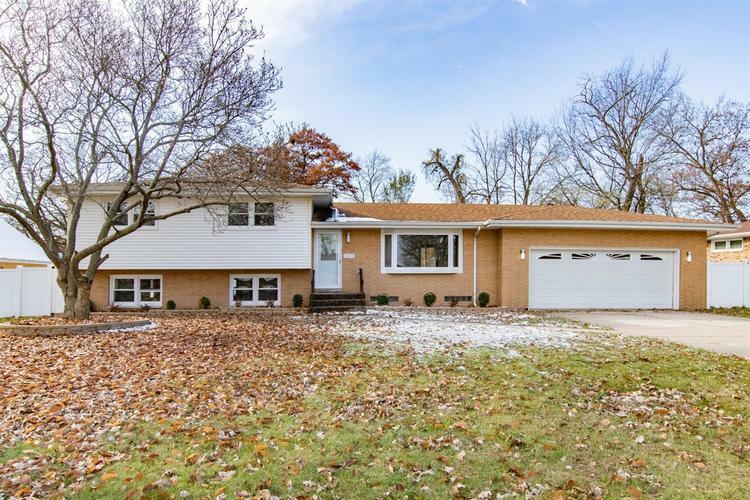 Welcome Home to this freshly remodeled Quad Level Home with 4 spacious bedrooms and 3 full bathrooms. Living Room features Hardwood flooring, modern ceiling fan, recessed lighting and a huge bay window. Make you way into the beautifully updated kitchen with French Door Stainless Refrigerator, dark wood cabinetry with crown molding, granite counters and back-splash with attached dinning room. All bedrooms have nice sized closets and hardwood flooring. 3 bathrooms all have jetted tubs, fresh tile, fixtures and beautiful, modern vanities. Schedule your showing today! Directions:Broadway to 58th, East to Pennsylvania, North to Address.